Northwestern Oklahoma State University is also featured in our ranking Top 25 Most Affordable Online Bachelor’s in Accounting. In Alva or 100 percent online via Blackboard, the School of Professional Studies grants a Bachelor of Business Administration in Accounting for Northwestern Oklahoma State University undergrads interested in reporting cash flow transactions. Chaired by Dr. Steven Palmer, a 2009 MBAA Distinguished Paper Award recipient, the 121-credit degree lets students practice financial analysis skills from Jesse Dunn Hall to their own living room. The 14:1 learner-faculty ratio ensures close interaction in courses like Business Math, Auditing, Petroleum Accounting, and Corporate Taxation. Online classes leading to the MGMT 4433 capstone follow an asynchronous, 16-week semester with remote proctored tests. Seniors are qualified to sit for the Uniform CPA Exam to begin the 150-hour journey to Certified Public Accountant. Majors might also join Ranger Business Club, intern at Steakley & Gilbert, pledge Delta Mu Delta, enter the AICPA Accounting Competition, add the Financial Planning Certificate, and study abroad in Venice. 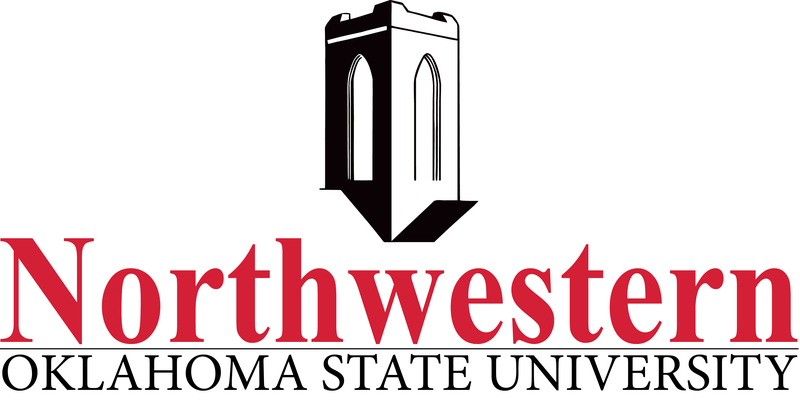 Northwestern Oklahoma State University was chartered by the Territorial Legislature in 1897, one decade before Oklahoma became the 46th state. Organized by James E. Ament, the Normal School drew an inaugural class of 58 aspiring rural teachers. Initial construction on its 360-acre Alva campus in the Cherokee Outlet commenced in 1899. By the 1940s, it was welcomed into the OSU system as Northwestern State College for four-year bachelor’s study. Under House Bill 2164, NWOSU expanded to Enid and Woodward before the advent of online learning. Now budgeting $26.57 million yearly, Northwestern Oklahoma State University serves 2,307 Rangers, including BBA in Accounting majors. Linked to 4,634 LinkedIn alumni, this regional GAC member has trained Mike Hargrove, Joe Heaton, Vaughn Ary, and others. The U.S. News & World Report ranked Northwestern Oklahoma State in the Midwest’s top 126 colleges with one of the 346 best online bachelor’s programs nationally. On Niche, NWOSU boasts the 65th safest campus, 240th most student diversity, 254th most conservative values, and 406th hardest academics. College Factual placed NWOSU 981st among America’s most popular accounting majors. 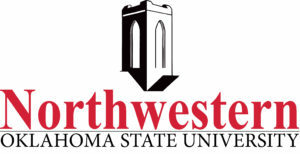 Best Value Schools crowned NWOSU the Sooner State’s seventh-best buy. PayScale calculated a 20-yet net ROI of $107,000 for Northwestern Oklahoma State University alums. Great Value Colleges honored NWOSU in its 100 cheapest small schools west of the Mississippi. In Washington Monthly, Northwestern Oklahoma State was the country’s 203rd top master’s institution. College Choice also positioned NWOSU 35th for its student-oriented online bachelor’s in accounting. In June 2018, Northwestern Oklahoma State University satisfactorily completed a mid-cycle assurance review from the Higher Learning Commission of the North Central Association (HLC-NCA) to keep Level V accreditation current through 2023 under its 19th president, Dr. Janet Cunningham, who won the 2015 Kate Barnard Award. Located over 12 hours northeast in Chicago, this mega 19-state Great Plains accreditor has authority from the U.S. Secretary of Education to perform quality checks on NWOSU’s 34 baccalaureate, four master’s, one doctoral, and eight certificate programs from Helena to Ponca City and online. The BBA in Accounting major holds programmatic approval from the Accreditation Council for Business Schools and Programs (ACBSP) too. Logging into Northwestern Oklahoma State University is labeled “moderately difficult” by Peterson’s since 82 percent of the 1,078 Fall 2016 applicants were triumphant. First-year Rangers lassoing the Online BBA in Accounting must meet high school curricular performance criteria. The State Regents for Higher Education requires a 15-unit secondary core that includes three units of math like Trigonometry and Pre-Calculus. Ranking in the top 50th percentile of one’s class is expected. Freshmen display online readiness with a minimum 2.7 GPA. If less, undergrads must score above 20 on the ACT or 1020 on the SAT. Undergrad transfers with 15 to 90 credits of accredited, non-remedial college courses can skip testing. Cumulative collegiate GPAs should breach 2.0, but the average is 3.22. Before studying online, international students age 18+ must carry a “B” average and score at least 68 on the TOEFL iBT. For 2018-19, Northwestern Oklahoma State University will charge traditional BBA in Accounting majors from the Sooner State $6,382 each year full-time. Non-residents are billed $7,432 annually. Mandatory undergrad fees add up to $652. Living at the Alva campus’ dorms like Coronado Hall costs $1,780 to $3,150 for rent. The unlimited meal rate with flex dollars for Ranger Market is $3,000. NWOSU suggests budgeting $1,200 each year for textbooks and miscellaneous expenses. Annual bachelor’s attendance is around $11,665 in-state and $12,715 out-of-state. However, the Online BBA in Accounting is priced differently at $305 for Oklahomans and $542 for non-residents per credit. The total four-year cost would span from $36,905 to $65,582. According to the NCES College Navigator, the Office of Financial Aid in Herod Hall disburses $7.78 million yearly to help 87 percent of full-time NWOSU Rangers corral packages averaging $4,486 each. The Division of Business’ funds include the Robert R. Brown Scholarship, Don & Donna Benson Scholarship, Wilma A. Ernst Scholarship, Mead & Mary Ferguson Scholarship, Henderson Family Scholarship, and Helen Vore Sutter Scholarship. The President’s Leadership Class gifts freshmen $2,750 with all-expense paid Boston trips. Worth $1,900, the Extraordinarily Talented Award supports undergrads with minimum 29 ACT scores. Submitting the FAFSA application with code 003163 quickly after October 1st unlocks Federal Pell/SEOG Grants. Non-residents can pay lower rates with the GO OK! Tuition Waiver. Living in Oklahoma qualifies for the OTAG Grant, Academic Scholars Program, and Regional University Baccalaureate Scholarship though. The Student Loan Report ranked NWOSU #1 statewide for a low median debt of $6,942 from Perkins, Stafford, and alternative loans.